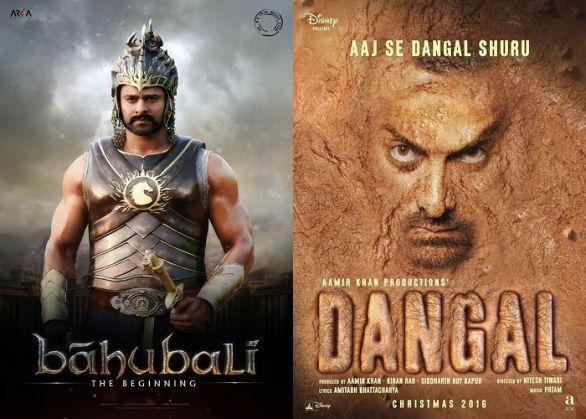 Home » Bollywood News » Will Rajamouli's Baahubali 2 clash with Aamir Khan's Dangal during Christmas 2016? Will #Baahubali2 clash with @Aamir_Khan's #Dangal at the Box-Office? SS Rajamouli's magnum opus Baahubali, which released with a lot of fanfare on 10 July 2015, was one of the most memorable films of the year. The film which represented India at a global level made everyone ask the same question 'Why Did Kattapa Kill Baahubali'. Rajamouli is all set to conclude his epic tale of revenge and drama with the second part of Baahubali, which is titled Baahubali: The Conclusion. The film, starring Prabhas, Rana Daggubati and Anushka Shetty in pivotal roles is reportedly eyeing the Christmas 2016 release spot. Also Read: Baahubali: The Conclusion will not disappoint, swears Rajamouli. But wait, why did Kattappa kill the guy? Team Baahubali commenced the shooting of the film in November this year and the shoot is expected to be wrapped up by May 2016 after which the team will work on the visual effects of the film. The movie was initially slated to be a mid-2016 release; however, owing to the expectations from the second part and plans to raise the bar further, Rajamouli and team decided to delay the film by a few months to ensure the second part is bigger and better than the first one. While 30 per cent of the sequel was already shot along with the first part of the film, shooting for the rest 70 per cent started a few days back as the actors, especially Anusha Shetty, had to undergo a transformation in her look. Incidentally, Aamir Khan's Dangal too is slated to release during Christmas next year and it will be interesting to see if the two titans clash at the Box-Office or one of them decides to move ahead considering the fact that expectations for both the films would be sky high.